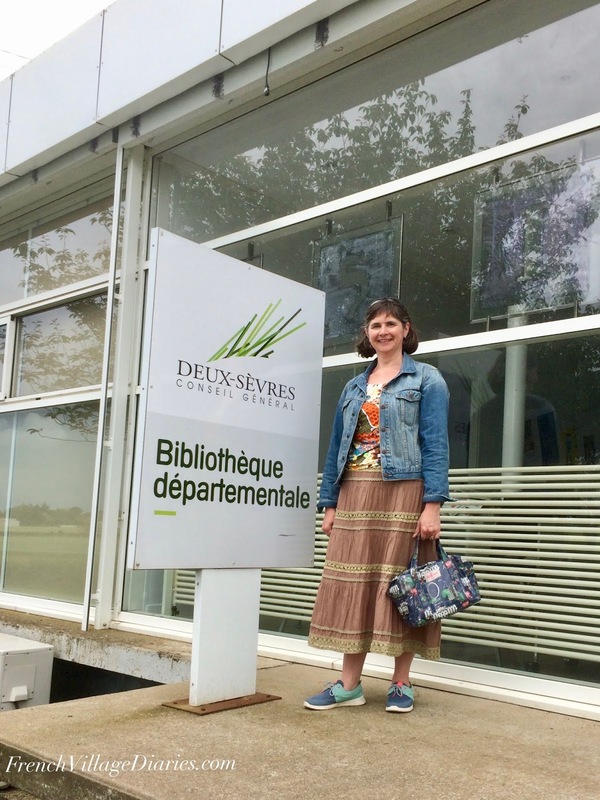 Like the sand in an egg timer, my time as a bibliothécaire is slipping away too quickly. I am now halfway through my four-month contract and eight weeks today I will have locked the door for the final time, and I know that I will miss it. So much has happened since my last update (sorry), I’m not too sure where to start. Our bilingual story sessions with the local schools have all finished and were great fun for us, and judged to be a success, by the children as well as the teachers. We welcomed nine classes, with children aged from 3 to 10 years and the last class (of older children) arrived by bike, enjoyed a story, chose some books and then set off for a picnic at the local chateau. A perfect day out! 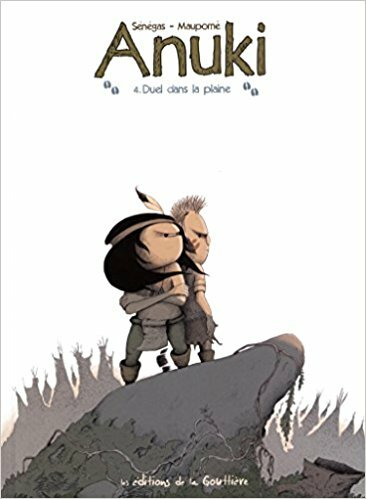 We’ve hosted a musical event, where Anuki, a cartoon book, was brought to life by about forty students from the local music school. This was then followed up with an interactive exhibition where children were able to create their own story boards and cartoon drawings, complete magnetic puzzles and learn all about life for a Native American boy. All this goes to show libraries have to be so much more than just places to borrow books from these days, but I still find it sad to see people coming in just to use the computers to play Candy Crush all afternoon, when they are in a room surrounded by so many beautiful books. Once the children’s animations were finished, we turned our attention to the exciting task of getting our hands on new books. 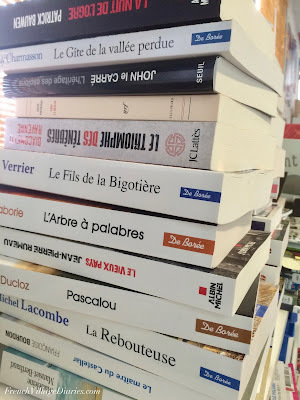 Some of these were borrowed from the department library in Niort, where we went for an afternoon out, and some we have been shopping for at a local book shop. 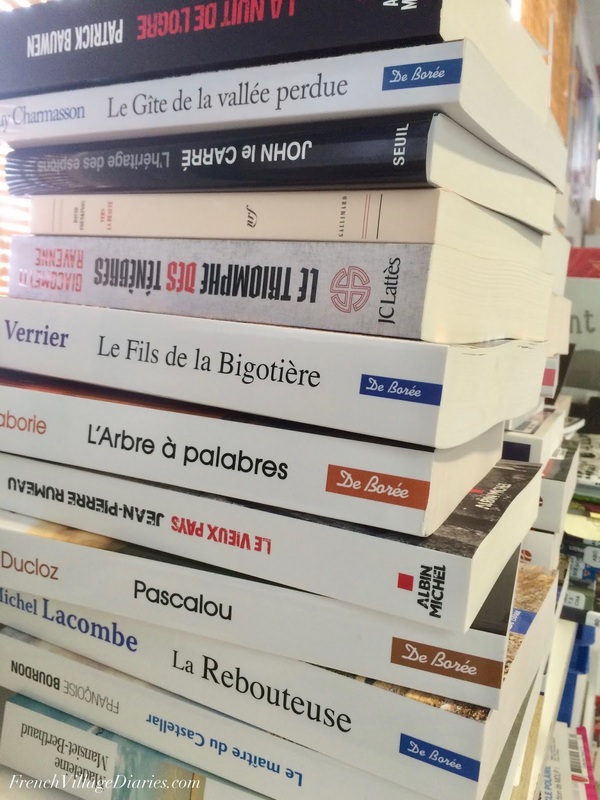 I’ve helped with the research into what’s new on the French scene for this summer and even been allowed to make some of the purchasing choices, which is exciting and scary, especially as in France you can’t always choose based on an appealing cover. One of the popular publishers here only produces books with a plain cream front and no image. 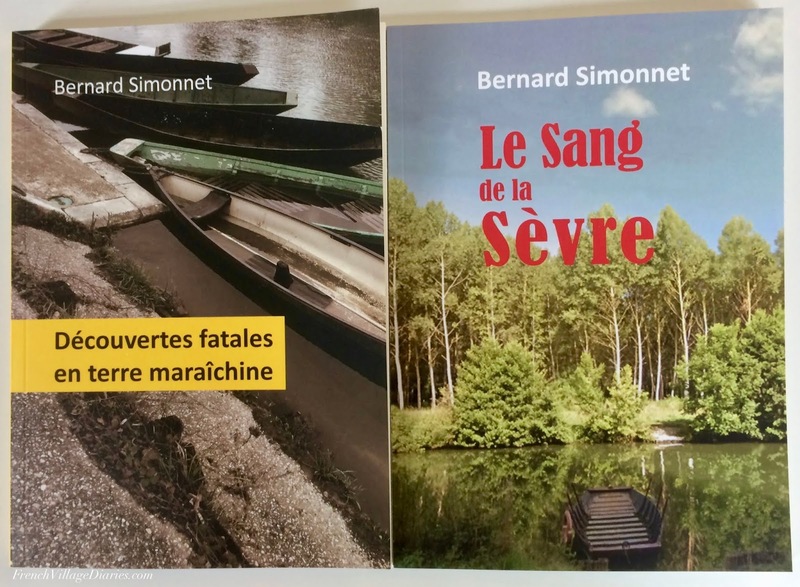 We have also had local author Bernard Simmonet pay us a visit, in the hope we would be tempted to buy some of his books. 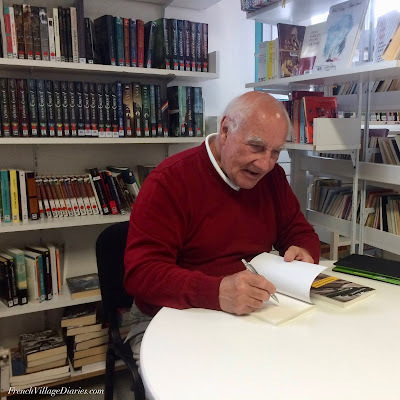 He was friendly, chatty and as his books were crime novels (very popular with our readers) and set in the local area, we bought two. I might even be tempted to give them a go as they are a nice manageable size (my French reading is slow) and I’m always tempted by books set close to home. All the new purchases then need to be entered onto our system, coded, stamped and covered; all tasks that were new to me, but that I am now happy completing without supervision. This, along with my ‘Missions’ from C (working my way through a list of those jobs that no one normally has time to complete) means I am getting to know my way around the software and book shelves, as well as feeling useful. I’ve even been able to help when people have requested a specific book or books on a particular subject and many of the regulars are now friendly faces I recognise and enjoy chatting with. I’ve also been able to indulge in dipping into books on lots of different subjects, whenever I like. Happy days! You can read my previous Diary of a bibliothécaire posts here, here, here and here.